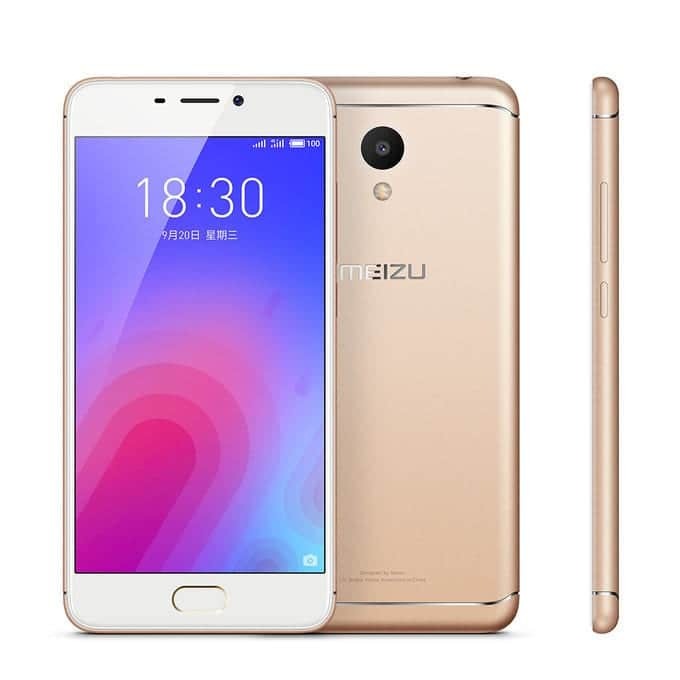 Meizu M6 is an underrated midrange smartphone that was released by the Chinese company late last year. The device was introduced with lots of bezels when “bezel-less” was the new trend. Nonetheless, it has an Octa-core processor, a 32GB and 3GB RAM version, a 13MP rear camera and a battery that supports fast charging. What else does the Meizu M6 has to offer? Lets find out. 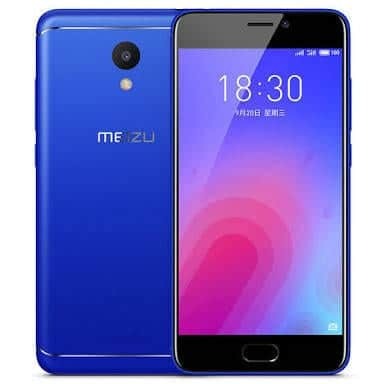 What is Meizu M6 Price and Availability Status? Ships with a sleek Metal overall unibody that’s really attractive and inviting. Meizu is known for paying attention to details when it comes to design and the M6 body shows that. The dual antenna lines absolutely brought out the best in the design, making it as premium as ever. While at the top middle, we can see the rear camera and LED flash under it. Turning over to the sides, there’s the volume keys and power button as it measures 8.3mm in thickness. Furthermore, it weighs 143g and available in Moonlight Silver, Champagne Gold, Matte Black and Electric Light Blue colors. Definitely not for bezel-less lovers, the device comes with lots bezels than expected. There’s a physical home button at the bottom bezel that doubles as the fingerprint scanner. While the top houses the usual features like selfie camera, speaker grille and sensors. The 5.2-inch IPS LCD capacitive touchscreen might be a little too small for those that loves big screen. Nonetheless, it has a resolution of 720 x 1280 pixels and 282 pixel per inch density for clear visuals. Disappointingly, the screen could only stretch up to 69.1% screen to body ratio. Working underneath is the Mediatek MT6750 chip with Octa-core processor and 64-bit CPU architecture. The 8-Cores of processor here reaches a standard speed of 1.5GHz with 28nm process technology. While the Mali-T860MP2 graphics processor handles graphics. There are two versions in terms of RAM and storage space, there’s one with 32GB storage and 3GB of RAM for multitasking. There’s a cheaper variant with just 2GB of RAM and 16GB storage space. Both RAM space reaches a memory speed of over 800MHz while the storage space is upgradeable up to 256GB. The Meizu M6 runs on Android 7.0 Nougat operating system. The 13MP rear shooter has f/2.2 aperture and captures quality photographs no doubt. The camera has so many features like phase detection autofocus, dual-LED dual-tone flash, Geo-tagging, touch focus and face detection. Record videos of 1080 pixels @ 30 frames per second and take cute selfies with the 8MP selfie shooter that has f/2.0 aperture. Powering the Meizu M6 is a 3070mAh non-removable Li-Ion battery with fast charging technology. With the fast charging feature, it shouldn’t take up to 2 hours to fully charge up the battery from 0% to 100%. The Meizu M6 is available on Shopping stores from $99 (N35,000) to $159 (N55,000). Click on the links above to view the latest Meizu M6 price & availability on Shopping stores. 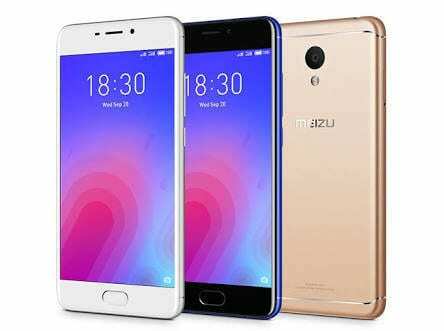 Meizu M6 is an underrated midrange smartphone that was released by the Chinese company late last year. The device was introduced with lots of bezels when "bezel-less" was the new trend.